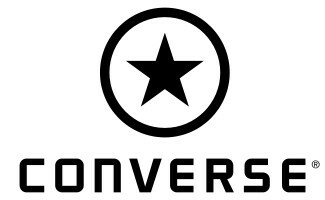 2012 marked another strong year for the Converse brand, led by a series of notable collaborations and the growing popularity of the First String line. 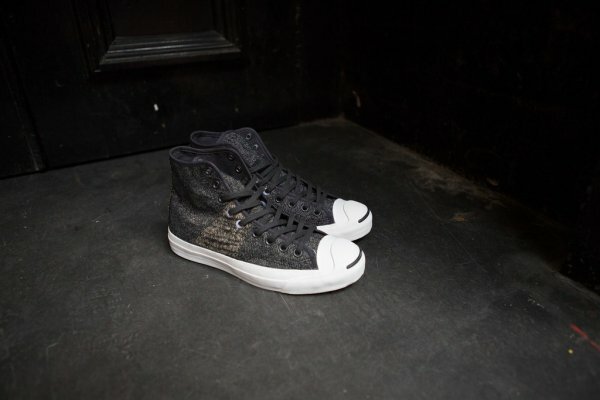 2012 marked another strong year for the Converse brand, led by a series of notable collaborations and the growing popularity of the First String line. Of course, it doesn't hurt when your flagship models are recognizable footwear staples around the globe. Still, the brand's ability to tell a diverse range of stories using a limited number of silhouettes is impressive. 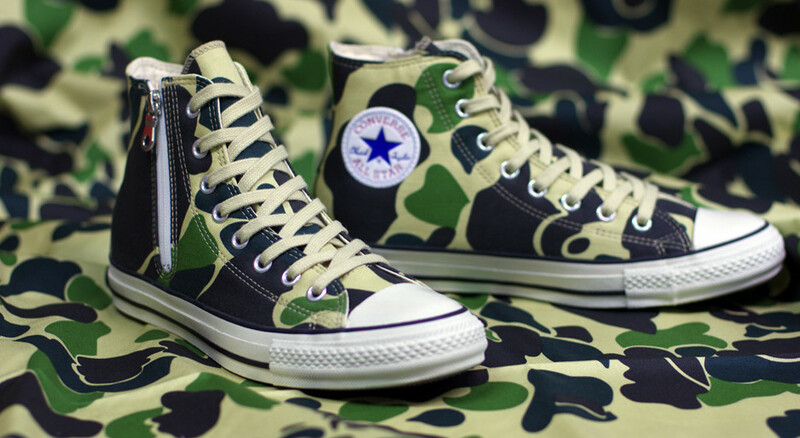 Let's take a look back at some of Converse's best work from 2012. The First String line worked with several well-known, independent brands and retailers throughout 2012, including great collaborations with heavyweights like CLOT, Saint Alfred and Bodega. 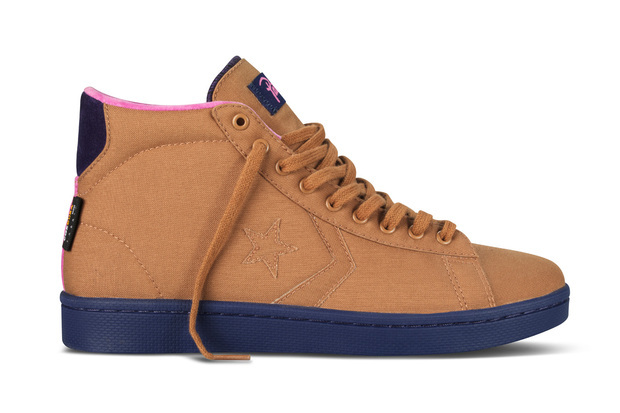 One of the best creations, however, came from Amsterdam's Patta -- a Cordura-based Pro Leather Hi notable not only for its unique color scheme and use of materials, but also for marking Patta's grand reopening. The independent retailer lives to fight another day. 9. 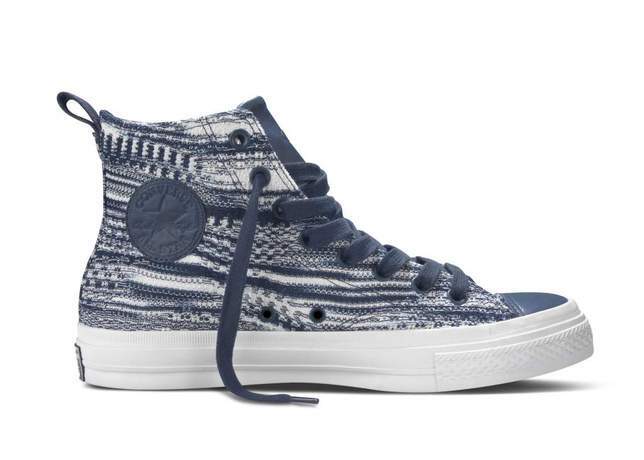 Missoni for Converse Chuck Taylor All Star "Crown Blue"
Although this isn't the only time Missoni appears on this list, the "Crown Blue" Missoni for Converse Chuck Taylor All Star stands out on its own as one of the brand's best offerings of 2012. Even more impressive in person, the "Crown Blue" Missoni Chuck utilizes the Italian fashion house's multi-stitch, space-dyed fabric throughout the upper. The Patta Pro Leather Hi wasn't the only independent retail collaboration to make the list, as First String also dropped a terrific Pro Leather Hi in conjunction with London's Foot Patrol. 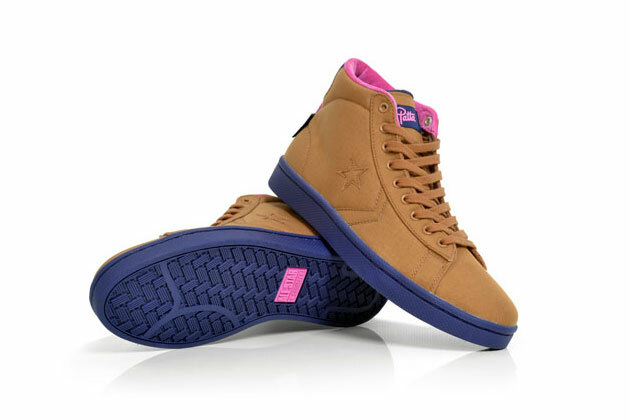 Dressed in premium nubuck, the Foot Patrol Pro Leather Hi features a debossed FP gas mask logo and an interesting Aztec print marking the tongue and heel. 7. 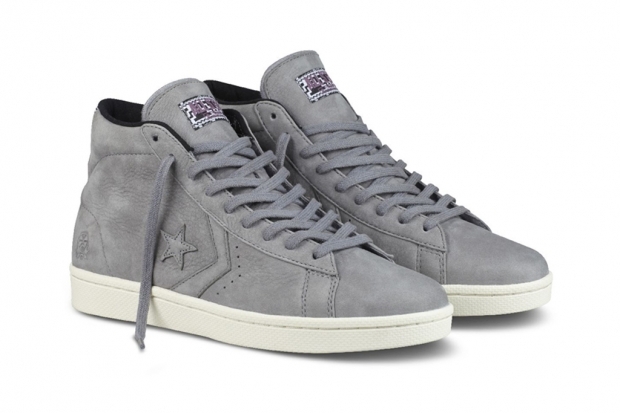 Converse First String JP Johnny Hi "Kasuri"
Even when First String wasn't introducing a collaboration, the line was still cooking up some heat of its own, like the excellent Jack Purcell Johnny Hi "Kasuri." The shoe features a Japanese Kasuri fabric-inspired upper, combined with a classic Jack Purcell toe cap for a timeless look. 6. 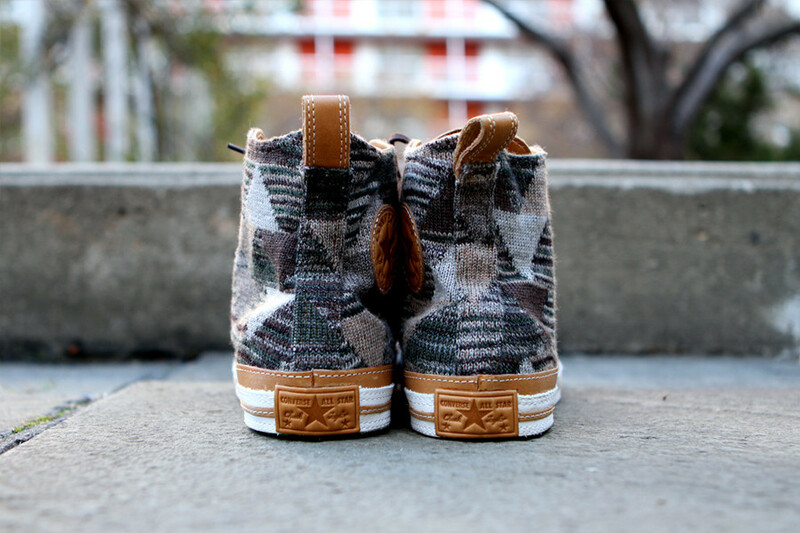 KICKS/HI x Converse First String "Tiger Camo II"
Kicks Hawaii followed up on one of last year's standout releases, their tiger camouflage version of the Chuck Taylor Hi, with the new "Tiger Camo II" Chuck Taylor Hi. 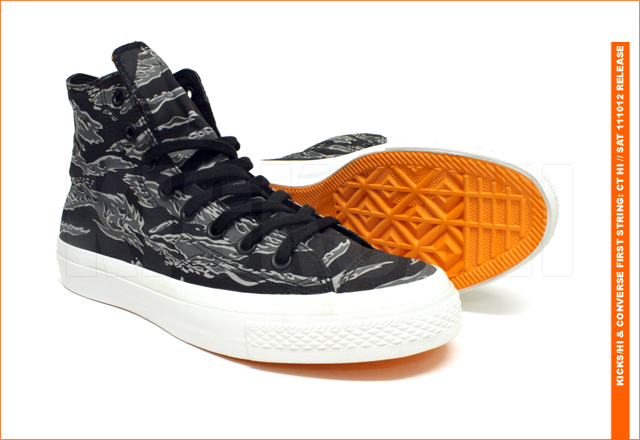 The second KICKS/HI tiger camo Chuck features a desaturated, black and grey upper, with the Honolulu-based retailer's signature orange coloring the outsole. 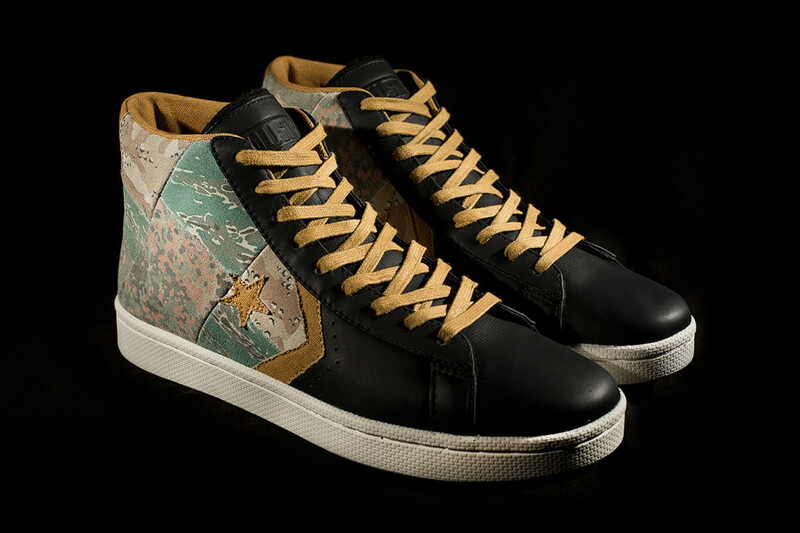 Stussy NYC introduced two new "patchwork" colorways of the Pro Leather Hi in 2012, including the publicly released camo version pictured below. 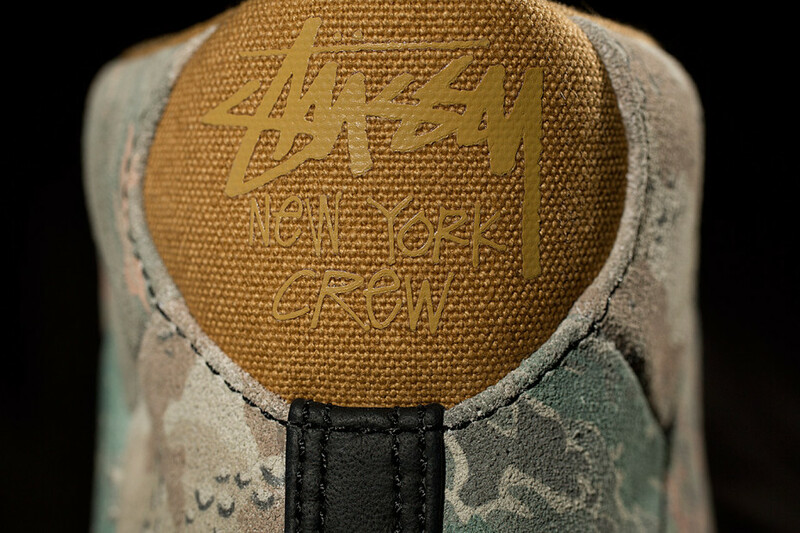 Another attention grabbing First String release, the Stussy NYC Pro Leather Hi features a unique patchwork heel combining three different camouflage patterns. If anyone could pull this off, it's Stussy, and they did it well. 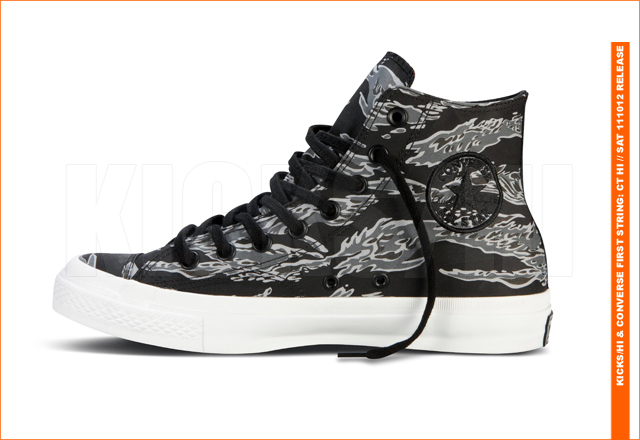 One of the best Converse releases of the year largely flew under the radar, when the mita sneakers x Converse Chuck Taylor All Star "TYO Custom Made" dropped in July. 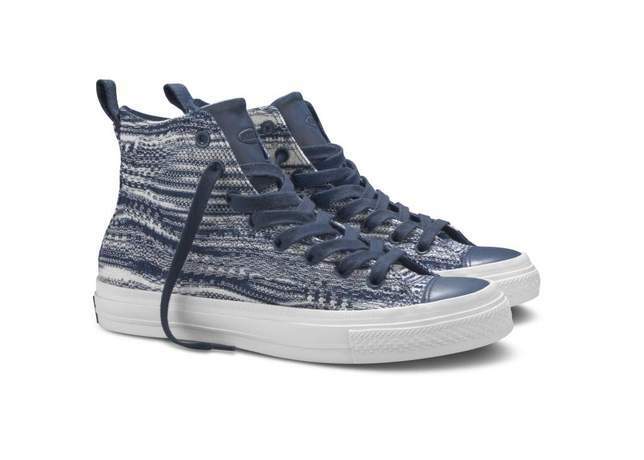 How far can you take the old school Chuck Taylor? 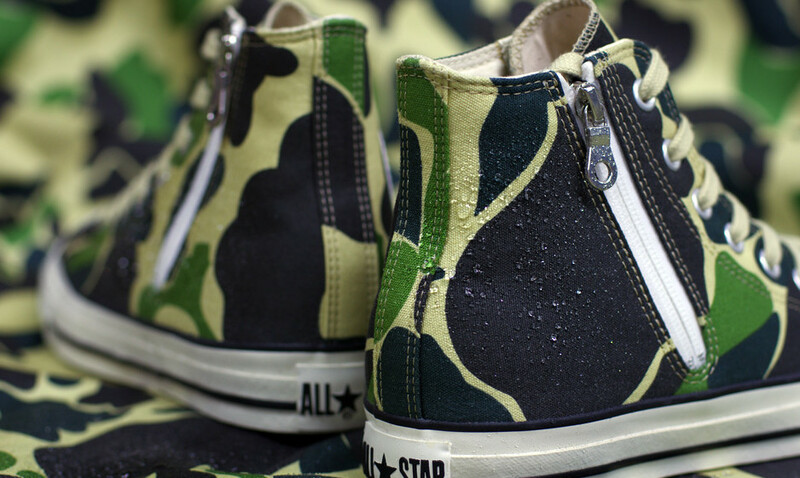 The Tokyo retailer gave it their best shot, equipping the shoe with a custom water-repellant camo upper, waterproof side zipper, Thinsulate thermal liner, custom plush insole and a reinforced toe cap (for better use with bicycle pedal cages). 3. 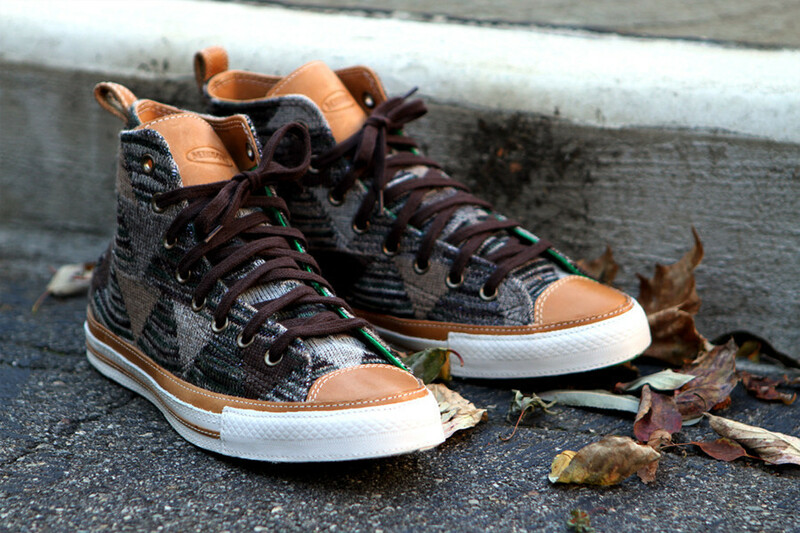 Missoni x Converse First String Chuck Taylor "Triangle Quilt"
Missoni and Converse struck gold again in the fall of 2012, releasing the deluxe "Triangle Quilt" Chuck Taylor Hi. 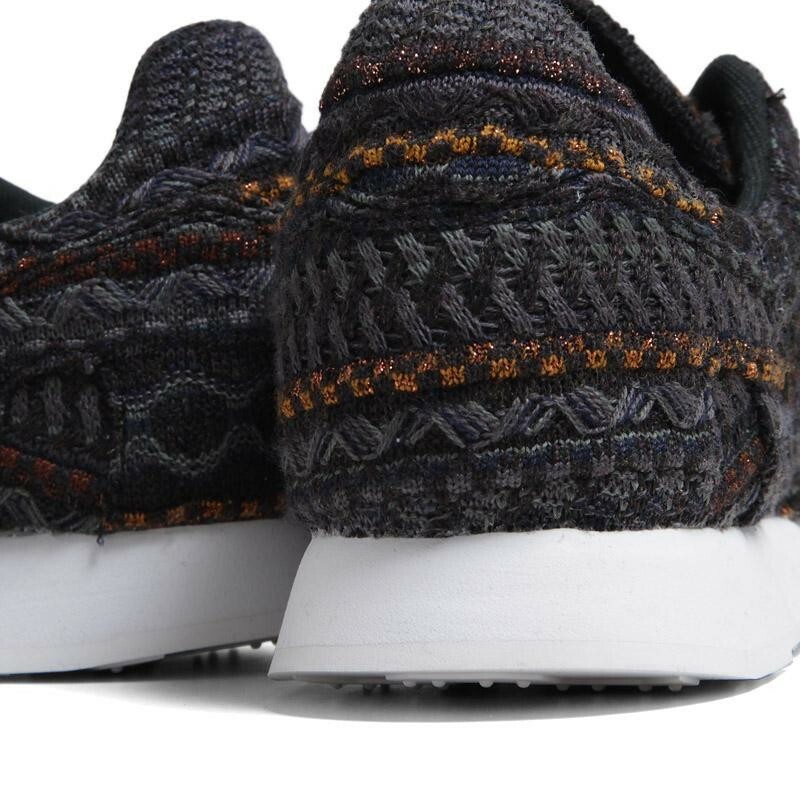 The shoe combines a distinct Missoni fabric upper with tan leather accents and a leather-wrapped midsole, resulting in one of the year's more luxurious sneaker releases. 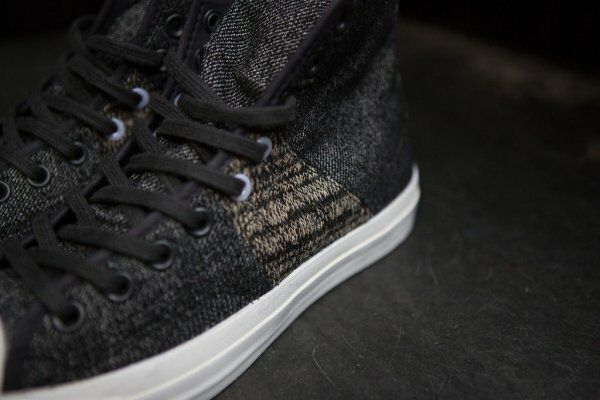 Missoni and Converse expanded beyond the classic Chuck Taylor in 2012, releasing a special Missoni fabric version of the Auckland Racer. 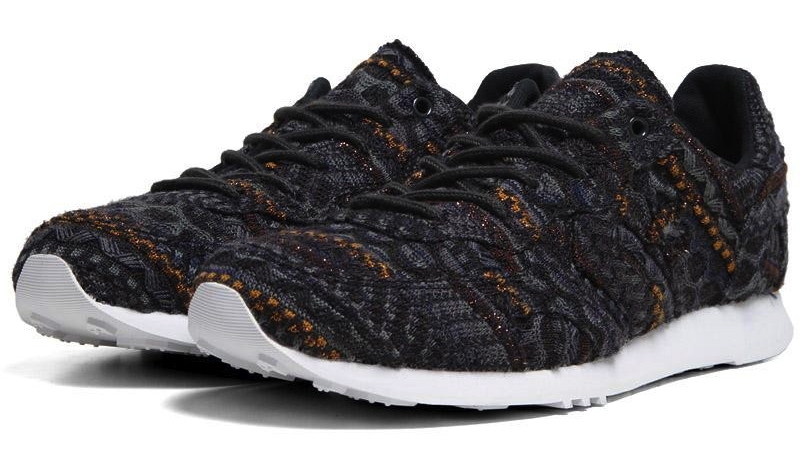 Following its debut on the runway in Milan, Converse and Missoni released the special 1970s retro runner during the holiday season, featuring an intricate upper made from black Missoni space-dyed wool and metallic copper lamé thread. For sneaker collectors, it doesn't get much better than the special Jordan x Converse 30th Anniversary Pro Leather, sold at auction last April. 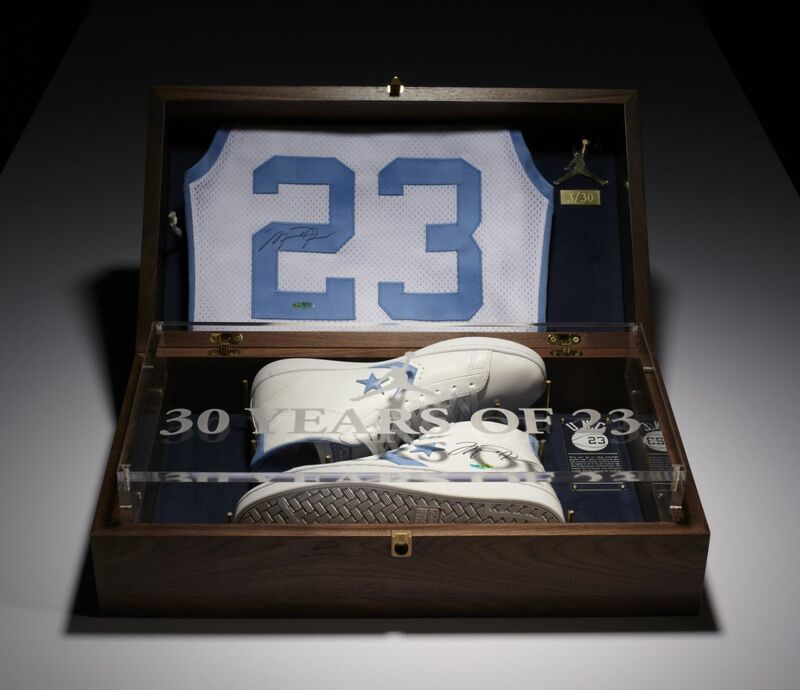 Celebrating MJ's shoe of choice during North Carolina's 1982 NCAA National Championship run, the extremely limited edition sneaker (30 pairs in all) was released in a special box set along with a #23 North Carolina Jordan jersey. Each pair is individually numbered, and both the shoe and jersey bear the autograph of His Airness. Proceeds from the auction benefitted the James R. Jordan Foundation.